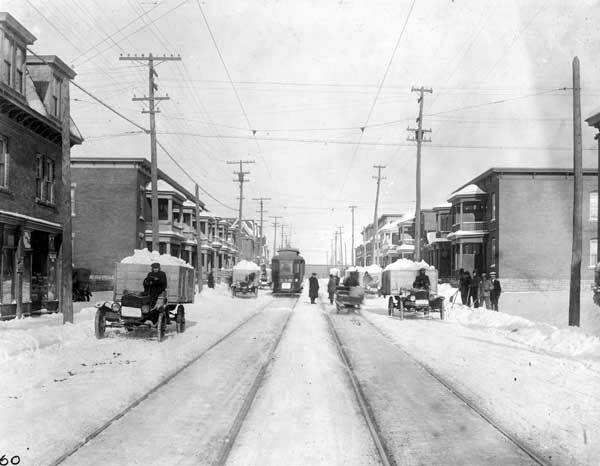 Era clues abound in this frosty snapshot: the horse drawn snow boxes upgraded for the motorized times, the jaunty caps and the web of wires. Can you guess the year? Many of these buildings still stand today. Do you recognize the corner? Check your guesses. Find photo details here and the streetscape as it looks today here. Enjoy a broader exploration of the scene here.